Fortunately, for the nation’s nonprofit organizations, these two different trends have offset each other. 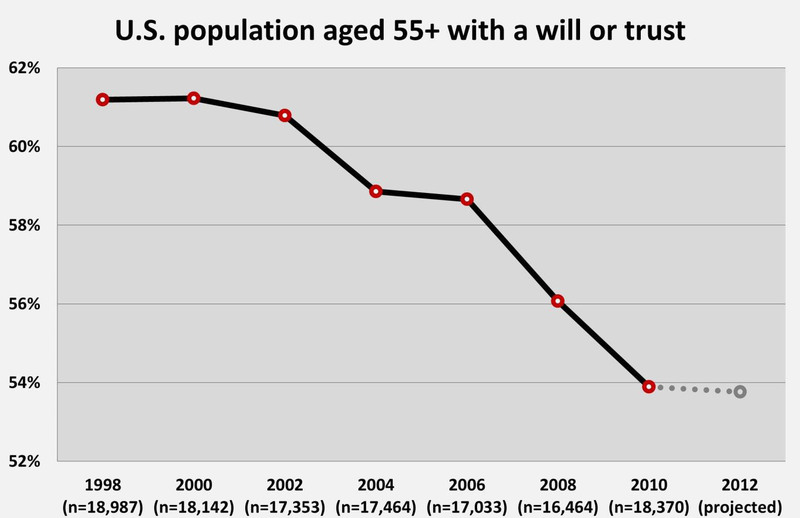 The percentage of all Americans age 55 and over who have made a charitable estate commitment has remained consistently between five and six percent since 1998. There might also be another positive dimension that has not been examined. The study did not include an analysis of the charitable component of transfer-on-death designations. It could be that this represents a significant source of charitable giving. At the very least, it’s certainly a great source of potential giving. While there is no cause for panic, the nonprofit sector should be concerned and must re-examine how it markets planned giving. Talking with a prospective donor about including the charity in her will might not be appropriate. She might not have a will or want a will. Therefore, focusing on a gift in a will would result in no gift. 4. Encourage our prospects to include a charitable provision in their wills, trusts, or beneficiary designations. An organization is not likely to secure more estate gifts without educating and cultivating folks and then asking for the commitment. Thanks so much for this post. Readers of your blog may also access a free electronic copy of the report when they subscribe to your blog or contact you directly if they are already a subscriber. 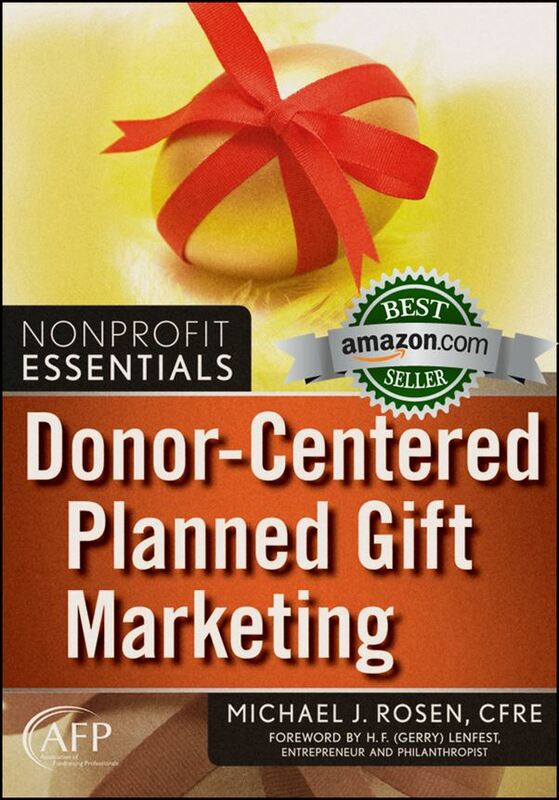 The paper version remains available for purchase at The Nonprofit Bookstore (powered by Amazon). Russell, thank very much for the work you do and for generously making the electronic version of your book available at no charge to my readers! Your kindness is greatly appreciated. One other reason, I believe, is that many people do estate planning with discretionary income. My estate planning practice is way down. One thing I hear consistently is that the client’s money situation is tight. They either don’t have the discretionary income or they are conserving it because they are nervous because of all that has happened in the last five years (understandably so). Wall Street is not reflecting the mindset on Main Street. James, thank you for sharing your experience. You’ve raised a very interesting point. It will be interesting to see what happens with the trend line as the economic recovery accelerates, assuming it does. I believe you have identified an extremely significant change in the dynamic of deferred giving, and confirmed the suspicions of myself and, I’m sure, many of our planned giving colleagues. The days of relying on bequests to carry the major load of our matured planned gifts are rapidly drawing to a close. Of course, we will still continue to strongly advocate estate planning for our supporters. I understand that next week is EPAW; (Estate Planning Awareness Week). So, we are supposed to all hug an estate planner! Scott, thank for sharing your insight. I’m glad to know that the research findings resonate with you. When practical experience and research data are in alignment, we definitely know it’s time to pay attention. I appreciate you letting me know that next week is Estate Planning Awareness Week. I had no idea. Who decides these things? This absolutely tracks what I’ve seen for several years now and had thought was common knowledge in the industry! The majority of new gifts I’ve seen/solicited have been beneficiary designations and other TOD gifts. Obviously, this has implications for messaging and marketing, and also for our stewardship of donors – much easier to change beneficiary designations than a will! Also, points to the importance of having in-depth conversations with our donors about their financial and philanthropic planning, rather than just reflexively providing “bequest language.” A number of donors I’ve spoken to had not realized that their will would not override any existing beneficiary designations (and the quality of advice that some of our donors get from their lawyers and financial planners is a whole ‘nother conversation!) For organiztions like mine, which cannot depend on a large quantity of gifts, and must instead proactively solicit significant gifts, it’s all just commonsense. Tracy, thank you for your insights. I’m glad to know that the research supports your own real-world experience. It will be interesting to see where this trend leads in the coming years. I want to take a moment to highlight something you said, “A number of donors I’ve spoken to had not realized that their will would not override any existing beneficiary designations…” I often speak with development professionals who assume that their larger donors are sophisticated when it comes to financial matters, including philanthropy. 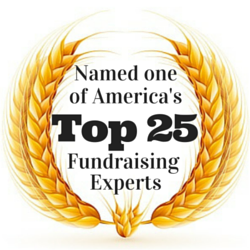 Unfortunately, they often assume that donors know more than they might. It’s better not to assume. While we don’t want to ever insult the intelligence of donors, we do have a responsibility to make sure they have the best possible information. I applaud your efforts to do just that. I think that Michael’s last line was very telling. “An organization is not likely to secure more estate gifts without educating and cultivating folks and then asking for the commitment.” Perhaps there are untried things that development officers can also be educated about. It’s hard to get past the resistance to change the way of doing things and the limiting beliefs that can get in the way of receiving major gifts. In this economy everyone needs money. Some are lapsing life insurance because they no longer can afford the premiums or no longer have the need for the death benefit. If open to donating the policies and a third party picking up the premiums, the donor gets the ability to see their gift go to work in their own lifetime and they get a nice tax deduction while the organization gets a sizable donation they never would have had. The development officers just need to have the knowledge that this option exists and who is a trustworthy agent to refer the donor to. Andrea, thank you for sharing your thoughts and suggestion. One thing is for certain: If we keep doing the same things, we’re likely to keep getting the same results. Yes, careful consideration of fresh ideas is important. However, we should not be dismissive of approaches we haven’t used simply because we haven’t used them.